before applying this mod. And if you haven’t, kindly do that. super power ability to customize it to your tastes. You can hide last seen, hide last read, hide the two blue ticks, you can even be online doing your normal biz and no one will know you are online… That’s the power of WhatsApp Reborn. 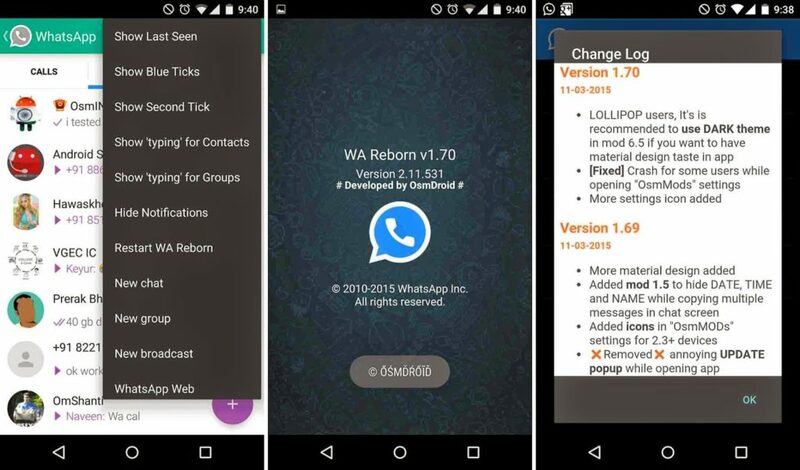 Why Should I Use WhatsApp Reborn V1.70? for 7 days continuously you won’t ever switch back to original whatsapp. If you encounter any issue, don’t hesitate to use the comment box to drop your problem. Your WhatsApp you should activated by now… I'll Prince Delly to add you up. 5. Delete your official whatsapp. 7. Locate and delete the whatsapp again. 8. Search for your whatsapp+ and move it to the folder where you deleted the official whatsapp.